Delhi loves its Mohalla Clinics, but can they really improve public healthcare? In the narrow alleys of Pusta road in Khajuri Khas, near New Delhi’s Kashmiri Gate Metro station, a group of elderly people discuss the upcoming elections, standing near a rickety house not far from a pile of garbage disposed of by the locals. In these bylanes of Khajuri Khas, this is not an uncommon scene — elderly, retired or unemployed people huddling together, discussing everything — from neighbourhood issues to the government’s failures. As a reporter in search of a Mohalla Clinic, I approach one of them, Mohammad Ismail. Ismail is in his seventies and happy to talk. 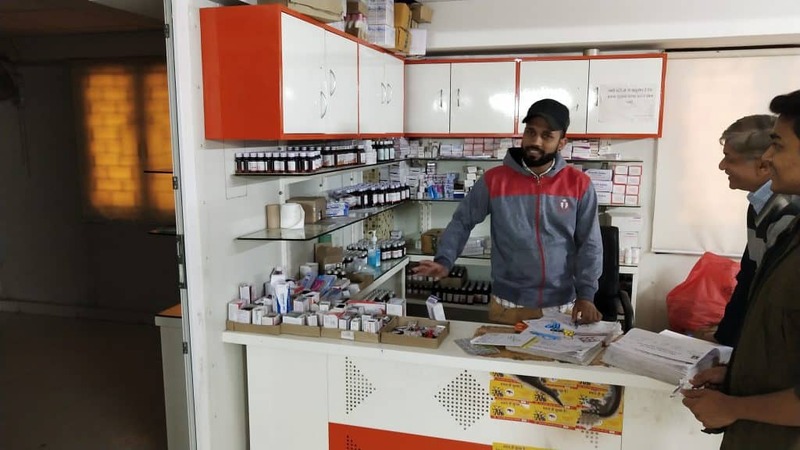 According to him, the Mohalla Clinic in Sade Teen Pusta on the same road has brought much relief to people who earlier had to visit local government hospitals and homeopathic dispensaries. Earlier, people would have to wait for hours to get basic medical treatment at the big government hospitals, but ever since the Mohalla Clinic opened, it has become much easier for locals to access timely medical attention and quality treatment. These clinics, according to Ismail, maintain a sufficient stock of medicines and people never face problems in getting them. Ismail is not alone. The Mohalla Clinic initiative by Arvind Kejriwal’s Aam Aadmi Party (AAP) is a big hit among a huge number of people in Delhi. 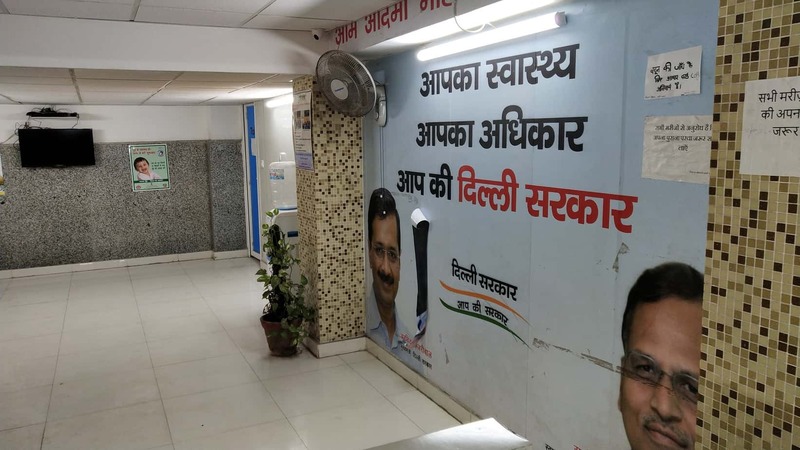 These clinics were set up by the AAP government in Delhi as neighbourhood health centres, providing basic and essential health services, including medicines, diagnostics, and consultation, free of cost to all. Take the case of Khajuri Khas itself. The locality has a population of around 20,000, a majority among whom are traders and workers. People say public healthcare services have always been poor in this area. But now, those who cannot afford private clinics are consulting doctors and getting quality care at the Mohalla Clinic, free of cost. Another resident, Shyam Sundar too says that people rarely face any difficulties in getting primary medical treatment at the clinic. It runs on rented property, and 100-120 people visit it on a daily basis. The figure shoots up to 200 on some days. The only ones missing out on this are the migrant workers of the many small factories in Khajuri Khas. According to these workers, only those who have Aadhaar cards with a residential address in Delhi can avail medical facilities at Mohalla Clinics. So as migrants, they are often forced to visit government doctors, where they usually have to stand in long queues to get prescription cards and see a doctor. However, if the talk of migrant workers conjures an image of a particular class of people frequenting the Mohalla Clinics, that is perhaps misplaced. 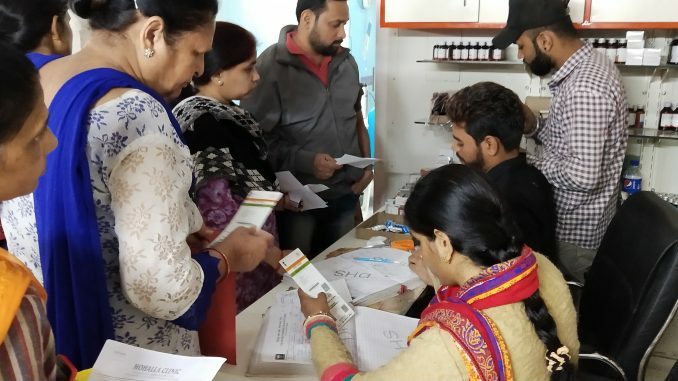 Appproximately 15 kilometres from Khajuri, at another clinic in Sakarpur, 29-year-old Anupam Sharma, a working professional, tells me in fluent English, “The Mohalla Clinic initiative has helped the poor to avail basic medical services free of cost within the locality; inspite of being a BJP loyalist, I have to praise Arvind Kejriwal for opening these Aam Aadmi Clinics,” he added. Sharma used to consult doctors at private clinics until a Mohalla Clinic was opened in his locality. “In private clinics people spend Rs 500-1,000 to consult doctors for fever or diarrhoea. After the Aam Aadmi clinics were opened, even people who could afford private clinics have started visiting the former,” he said. Residents of Sakarpur are satisfied with the kind of medical treatment they get in the Mohalla Clinic. However, a few of them wanted the timing of the clinics to be extended till 5 pm. The clinics are currently operational between 8 am and 2 pm from Monday to Saturday. Amit Singh, a local resident, suggested two shifts for the clinics. The Aam Aadmi Mohalla Clinic is conceptualised as a means to render quality primary health care in every locality in Delhi. The physical infrastructure is made up of pre-engineered insulated box type movable structures, manufactured and installed through the Public Works Department. The first ever Mohalla Clinic was inaugurated by Delhi Chief Minister Arvind Kejriwal on July 20, 2015 in Rajiv Gandhi JJ Punjabi Colony, a relief camp in Peeragarhi. The aim was to bring down the ever increasing burden on big government hospitals. These clinics are air-conditioned, and exude a private hospital-like atmosphere. Out of 1000 Mohalla Clinics planned by the Delhi government, a total of 189 Mohalla Clinics are presently operational in the national capital. While most of the Mohalla Clinics run in porta cabins, a few operate from rented premises. 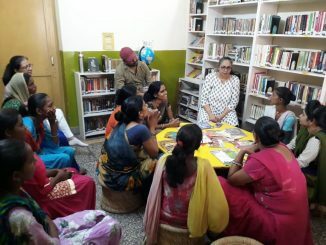 Some of the locations where these clinics are functional include Model Town, Chandni Chowk, Karol Bagh, Kondli, Patparganj, Delhi Cantt, Rajendra Nagar, Bawana, Ghonda, Gokulapur, Mustafabad, Mangolpuri, Rohini, Kirari, Sultanpur Majra, Shahdara, Babarpur and Najafgarh among many. According to the AAP website, Mohalla Clinics distribute 109 essential medicines. There are facilities for 212 diagnostic tests in these clinics. Some of the key tests include urine pH, stool routine, haemoglobin, peripheral smear examination, platelet count, reticulocyte count, bone marrow smear examination and malaria among others. A majority of the Mohalla Clinics have Swasthya Slate—a medical device of the size of a cake tin which performs 33 common medical tests. It costs around Rs 60,000. The device uploads its data into a cloud-based medical record management system that can be accessed by the patient. It can diagnose blood pressure, blood sugar, heart rate, blood haemoglobin, urine protein and glucose. It also runs tests for diseases like malaria, dengue, hepatitis, HIV and typhoid. 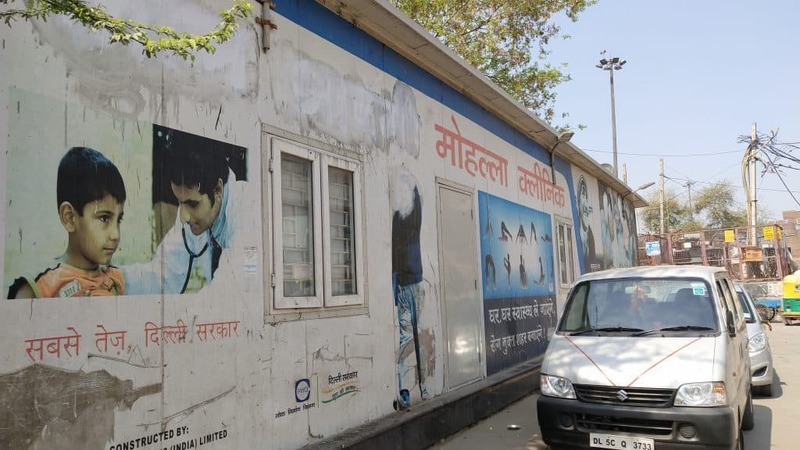 The government says around 40 lakh Delhiites have availed health services at Mohalla Clinics, as of December 2018. In the recent budget of 2019-20, AAP has made a further provision for allocating Rs 7,485 crore for the healthcare sector. This is a whopping increment in comparison to the Rs 6,729 crore allocated in the 2018-19 Budget. The Kejriwal-led government would thus be spending an extra Rs 375 crore for setting up more Mohalla Clinics and polyclinics. Why Mohalla Clinics when there are government hospitals? Many people complain that some sort of Babu culture always existed in the government hospitals. Moreover, finding doctors and paramedics was not an easy task. Patients would have to wait endlessly to see a doctor. Most of the time, doctors were absent from the hospitals, and when they were present, they were found giving preferential treatment to their relatives or acquaintances. On the other hand, although Delhi always had a few primary health centres, they were not able to provide medical facilities near the doorstep. Patients at these major government clinics complain that they often had to struggle to get medicines. AAP’s Mohalla Clinic initiative has certainly improved the scenario on these counts for the poor in Delhi. For one thing, they are operational right within the residential colonies, making it convenient for patients to visit them without the hassle of getting transport. Secondly, they are well-stocked, so that getting timely care and medicines is not an issue. However, a doctor from a Mohalla Clinic in Laxmi Nagar, who did not want to be named said that government hospitals continue to get more patients despite their shortcomings, as there are less than 200 Mohalla Clinics. There should be at least 1,000 such clinics for them to make a noteworthy impact on the city at large. AAP has long alleged that the Delhi Development Authority has been creating hurdles for them by refusing land for establishment of more clinics. 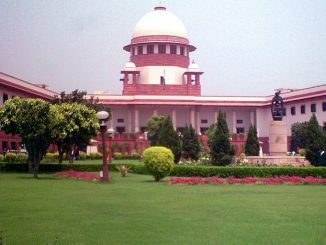 In a recent submission to the Delhi High Court, the government said that the DDA is not handing over sites for Mohalla Clinics, saying that the present master plan for Delhi does not allow for that, and hence the government must wait for the next plan before land can be granted. Director General of Healthcare and Family Welfare, Dr Ashok Kumar said that as soon as they get the requisite clearance from other concerned departments, more Mohalla Clinics would be opened. But he did admit facing a few challenges with respect to land in this regard. “There are certainly a few roadblocks but the government is working to resolve them effectively. We intend to open more clinics, once the elections are over,” he said. The fact that only 189 Mohalla Clinics have been opened in the last four years should be a cause of concern for the government. The tardy pace of building such clinics has stood in the way of a larger and more far-reaching transformation of Delhi’s health sector. Vishwas is a Delhi-based journalist who covers urban development, environment and mobility. Quick weekend reading for you — a recap of some of the important headlines from our cities. Stay abreast of what’s happening. From Delhi air to Bengaluru lakes, will environment finally be an election issue in 2019? 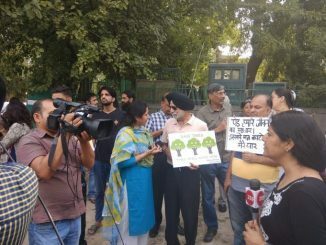 Environment has been a part of manifestos of the major national parties over the last few years. But will the growing pressure from young voters and the urban middle class finally force them to go beyond lip service to issues like pollution, tree cutting and waste?